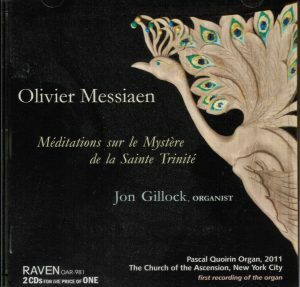 In 2014, Jon Gillock began releasing his recordings of Messiaen’s Complete Organ Works on the Raven label. 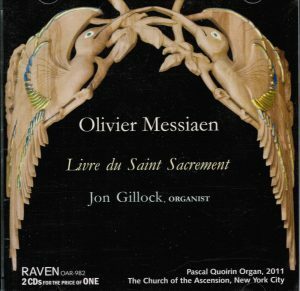 They are being recorded on the new organ by Pascal Quoirin (St. Didier, France) at The Church of the Ascension, NYC. 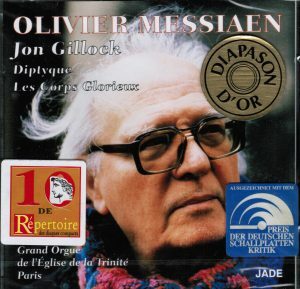 He participated in the design of this French organ, which is ideal for Messiaen’s music. Although the acoustic in the church is excellent and warm, it is not terribly reverberant. This aspect provides an added dimension to this music because one can hear all the detail of the compositions, which are not hidden by an overly reverberant space. This acoustic is similar to that found in concert halls, where orchestras perform Messiaen’s music. 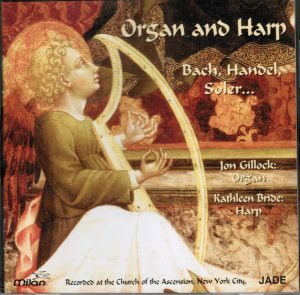 These recordings show that this unusual body of music can function in more than one setting. To date, three volumes are available. The fourth is in production and will be released very soon, and the fifth will be recorded in November. The sixth and last volume will follow shortly after that. 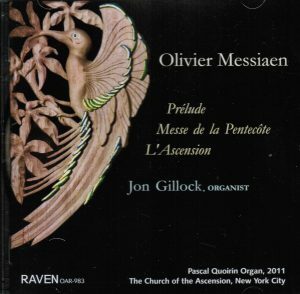 These recordings are available directly from Raven (ravencd.com) and Amazon (amazon.com).